We all have a holiday memory. The first one that comes to my mind is receiving He-Man's Castle Grey Skull for Christmas when I was in second grade. As they said back in 1985, it was Boss! Not only was I head over heels about the gift, but it further solidified my belief in Santa Claus. There was no way on earth my parents would have sprung for He-Man's fortress. I mean it was fifty dollars! Five. Zero. I knew that for a fact, because I looked at the price in the toy aisle at K-Mart or Zares or Toys R Us or one of those places that had toy aisles I used to wind through, mouth open, checking prices. I mean who spends fifty dollars on just one gift? And that was just for me. I had three other siblings! Who would do such a thing? Santa, that's who. It was clearly the only explanation. Most of my memories are pleasant ones. Some are not, but I'm happy to say that when they weren't, I was a part of a family that worked through those problems... To some degree. We had our traditions: Eating breakfast and going to church before being allowed to open presents. Putting up the Christmas tree on Christmas Eve. Lighting candles on an advent wreath each night before dinner. I didn't understand it at the time but it was all about preparation and a sort of earned satisfaction. It was all very Catholic. I don't mean that in a deragatory way. It was a central aspect of my upbringing and it did make Christmas Eve and Christmas morning extremely special. Music was also a HUGE part of the Christmas season for me. I used to lie in bed and make up elaborate stream of conscience Christmas songs about decorations, snow and presents, singing to myself until I drifted off, or was told to politely, "Go To Sleep!" And Christmas records! We weren't allowed to get them out until after Santa Claus appeared in the Macy's parade and you better believe after he laid that chubby finger on the side of his nose in Herald Square, I was immediately listening to Bing and the Andrew Sisters as they Jingled all the Waaay! Again, the waiting, although excruciating, made it special. The music, is really the only tradition that I've kept when it comes to my own family. Even though I now have some perspective on my own childhood traditions, I also remember the waiting being stressful. Sometimes when preparation and expectation becomes the focus, the moment, the thing you are preparing for, can pass you by. There is no present (no pun intended). There's only the idea of the moment to come, followed immediately by the evaluation once the moment has passed. The moment, the thing prepared for, is lost in perpetual state of anticipation and analysis. See I'm still analyzing it today! This week, the performance group Erasing The Distance, of which I am a company member, has put up The Holidays Unwrapped at the Edge Theatre here in Chicago. It's a documentary theatre piece, pulling stories from nine individuals as they reflect on their family, friends and traditions around the holidays. It's new piece of theatre that we hope will become it's own tradition here in Chicago. As a company we continue to explore mental health not just as something that is diagnosable, but as an integral part of living. The Holidays Unwrapped sheds light on a period of time when our mental well being is pushed and pulled in a multitude of directions: The holidays are a mixed bag of comedy and drama, love and loss, highs (Castle Grey Skull!) and lows. The stories told in this piece offer a glimpse into the lives of individuals as they navigate the holiday maze. Music also plays a major role in the piece and I am happy to be on stage with Joshua Wentz playing original arrangements of some holiday favorites. So join me and the rest of the cast next week for the final three performances of The Holidays Unwrapped. December 18th, 19th, and 20th at The Edge Theatre. Tickets and more info are here. Deadlines have always been my savior when it comes to completing an artistic project. There's nothing like a date on a calendar to inject just enough determination and fear to get the job done. Being an actor, I often have it easy. Opening night is right there on the contract. You sign it, you go to rehearsal, you open the show. And all the while a director is getting you "performance ready", whatever that means. Being a working actor has it's difficulties, but once you get the job, logistically, most of the work is done. Everything is laid out in a calendar on that first day of rehearsal. Writing is another story. It's you and... You. Maybe you have an editor, or a producer who's asking for pages or demos, but at the end of the day there aren't too many people to answer to, but yourself. Hence the need, well, my need, for a deadline. That's why the RPM challenge has helped me immensely. February, one month, make a record, It's that simple. Well, the making part may not be that simple, but the goal is very straightforward. Most of the the songs I recorded for Trailways, were in process before February 2017, but just as it did with my first RPM record in 2009, RPM sat me down and gave me the structure to finish and record them. I shot the original draft of Trailways off to RPM on February 28th around 11:30 pm. Just under the wire! At that time I was calling the record Heavy Light. I changed my mind about the title though after choosing the art work (I took that picture from my window seat on a plane ride to NYC) and also after remembering a collection of demos a recorded almost ten years ago when I first moved to Chicago was called The Gray Light. I also decided I didn't want to name the record after a song title. These are all pretty trivial things here, but it's my project, so indulge me! Why Trailways? I don't know. It just sort of came to me and then I realized it's the name of a Red House Painters song. That was enough for me. I'm slowly learning how to mix a recording, but I've got a ways to go, so my first pass and the one up on the RPM site, does not sound good to me, but it got me there. The first draft was done and after getting some guidance from my collaborator and Silvergirl band member Josh Wentz, I was able to go back and get the record to sound how I wanted. So here it is, Trailways. On the record you'll hear two things: me and my guitar. It became clear as I was recording, that these songs didn't need much else. Many of them have a pretty straight forward narrative. In a perfect world full of ample label-paid-for studio time and walks on the beach, I hear some peddle steel here and some lead guitar there, but, with the RPM deadline looming, I decided to just focus on writing and recording guitar and vocals only. It was hard to stick to my guns on this though. The lack of vocal harmony really was a challenge. The result though, is simple and serves the songs well, I think. Could there be more? Of course. There always could be more. But sometimes you just have to let go of the thing your working on. As a maker of things, this is a valuable lesson and one I'm getting slightly better at learning. Robbie Fulks is one of those names you can't help but hear about if you are a songwriter living in Chicago. Apart from his Monday night residency at the Hideout, (which just ended this past Monday) his name would pop up in conversation with other musicians and actors that I knew. I had heard nothing but positive things. In fact, a few weeks ago his name popped up again after he played a duet with Lori McKenna, another favorite songwriter of mine. So when the opportunity came to audition for new theatre project he was working on with Mike and Molly creator Mark Roberts, I was excited. The Jabez Country Opry tells the story of the last night of a small Kentucky honky-tonk and the performers, past and present, who gather for one final show. Robbie is writing the music for the show and Mark Roberts, the words. Mark will also be directing. Jabez will be performed concert style, with Robbie on stage with a full band, as part of Steppenwolf Theatre's Lookout Series on March 30th and 31st. Tickets can be found here. In the mean time, if you haven't already, click the album below and give Robbie Fulks' latest grammy nominated record a listen. You won't be disappointed. I tried to take my three year old to a play last week. It didn't go well. In short, a five alarm fit was thrown as we walked into the theatre. He screamed so loud as we entered the house that the poor woman handing out programs nearly jumped out of her skin. A least a month was shaved off her life. It's strange because he's been to plays before. He saw my production of Mamma Mia! at the Paramount Theatre in Aurora over the summer. He's been to the CSO. This was a store front theatre. Maybe he prefers the large houses. Who knows? Understanding three year old logic is like eating ice cream too fast. It makes your brain hurt. I hope he does come. Drury Lane seats a few hundred so maybe the larger venue will be more welcoming. I'll be playing the role of Grasshopper. We'll see how he feels about bugs. Show runs May 4th-June 16th. Click the pic for ticket info. This is The Challenge - Record an album in 28 days, just because you can. That’s 10 songs or 35 minutes of original material recorded during the month of February. Go ahead… put it to tape. It’s a little like National Novel Writing Month, (NaNoWriMo.org) where writers challenge each other to write 1,700 words a day for 30 days, or the great folks over at February Album Writing Month (fawm.org), who encourage artists to write 14 new songs in February. Maybe they don’t have “Grapes of Wrath” or “Abbey Road” at the end of the month, or maybe they do—but that’s not the point. The point is they get busy and stop waiting around for the muse to appear. Get the gears moving. Do something. You can’t write 1,700 words a day and not get better. Don't wait for inspiration - taking action puts you in a position to get inspired. You'll stumble across ideas you would have never come up with otherwise, and maybe only because you were trying to meet a day’s quota of (song)writing. Show up and get something done, and invest in yourself and each other. The first time I participated in RPM was back in 2009. The result was a record called Our Earthquake Dreams. What started as a solo project, became much more. I gathered a few musicians together and we ended up recording the album, live, in a church up on the north side that a friend of mine was taking care of. We would load our stuff in at night into this rickety old elevator take it up to the sanctuary, set up and play. It was the first time I played with a band. I called the band, Silvergirl, after a Paul Simon lyric from Bridge Over Troubled Water. March 2009 came and we played a few shows. Two, to be exact. Both at Mahoney's here in Chicago. I had no idea had to book shows. Still don't really. But It was a goal of mine to stand up in front of a crowd and play music I had written, with a full band. Check it off the list! Two month later I had my first child. I got a job working at a bar and I my acting career in Chicago started to take shape. Music got pushed to the back burner, but I was fine with it. Maybe I wouldn't have a "band", but I had accomplished something. And that in itself was significant. I got some CD's pressed and packaged. Not sure what the full count was. Maybe 400? I've sold quite a few, but I still probably have more than 200 left. Maybe my next goal should be to sell the rest. If I don't, it will be a fun moment for my grandkids when they discover a box of CDs! (how ancient will those be in 30 years) in the attic. Maybe it won't be so strange though, because even though I don't have a band and I'm not regularly playing shows, I don't plan on stopping. I will always write music. It's been apart of my life for as long as I can remember. Growing up, I used to make up songs to get myself to sleep at night. So maybe it will be the opposite. Maybe my grandkids will know my music quite well. Maybe they will even like it! Silvergirl has changed over the years... the evolution of that project is for another post. But as I think about starting another RPM, I can't help but think of that time: newly married, new to Chicago. Today I will work on a few new songs and get ready to start recording them for RPM. This year I will be releasing the record under my own name. Not exactly sure why, but it just feels right. 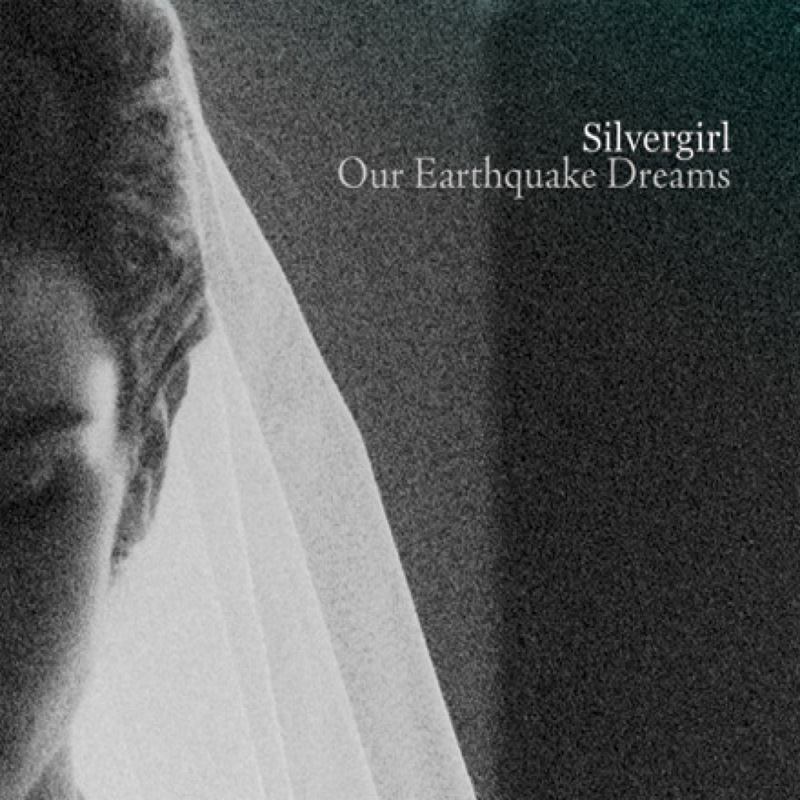 It's hard to put yourself out there, and in a way releasing music as Silvergirl these last few years has protected me from that. Being a actor, I'm used to rejection but when it's your own music, your own words... I don't know. It's different. I'm excited about this collection of songs though and am looking toward to sharing them.